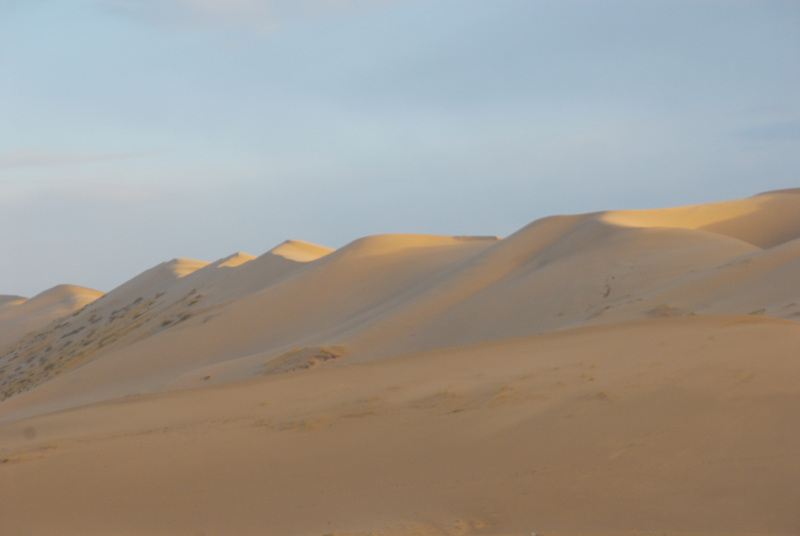 Gobi tours- every visitor to Mongolia seems to do one, but opinion is split as to whether it is a magical trip through a majestic landscape, or a bumpy waste of time driving through the middle of nowhere. 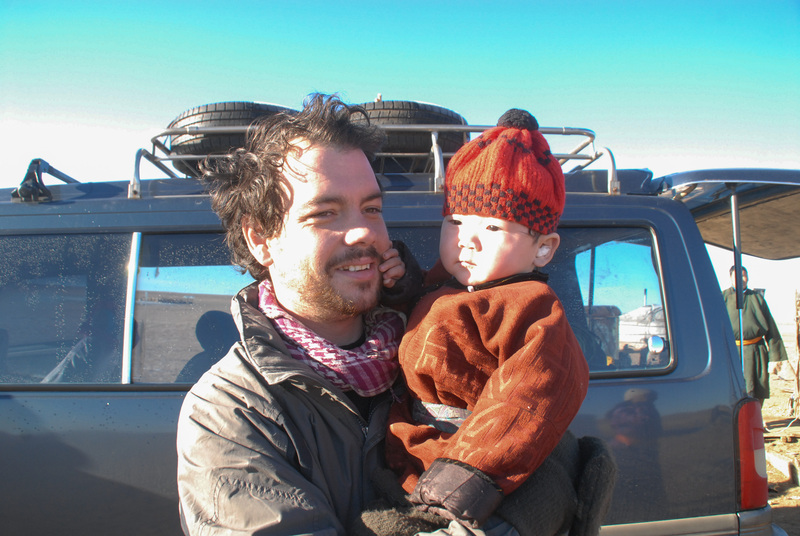 So Adam and I began our trip to the Gobi with some trepidation. We met another couple in Ulaanbaatar, Tim and Christina, who wanted to do a similar trip, and who had met a guide willing to take the four of us. Joining forces, we agreed on a start and end date, hammered out costs, and headed off together. As our guide worked independently, we pieced the trip together separately. Between us, we paid the guide $50 per day, the driver $60 per day (including the use of his van), and ended up shelling out an average of $29 per day for petrol. We spent around 60,000 tugrik ($30) each on groceries for the week, and accommodation cost usually cost us each 10,000 tugrik ($5) per night. We were expecting to pay for the guide and driver’s accommodation too, but almost everywhere only charged for four people, and let them sleep for free. All in all, we each spent $49 per day for our six day, five night trip. The lowest all-inclusive trip we’d heard about was $45 per person per day, but that was with a group of six people, so price-wise it worked out well to piece the trip together ourselves. Yes, it was a lot of hours spent driving in the van each day, but the sights when we arrived at our destinations were incredible. Even the view from the van window was usually of a stunning landscape. Vulture’s Mouth/ Ice Canyon: A scenic canyon to trek through, spotting marmots scampering along the ground and vultures circling overhead. Unfortunately, we visited during the few months of the year when the ice that fills the canyon has melted and has not yet reformed. 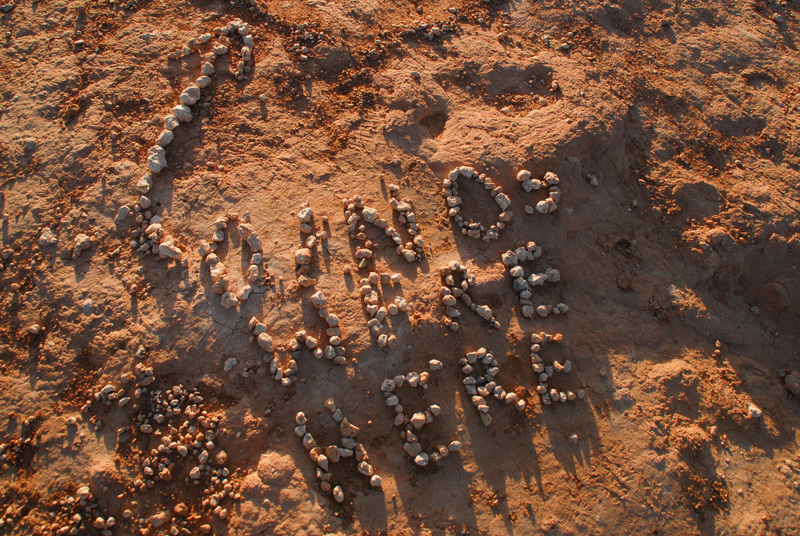 Singing Dunes: These massive dunes create a barrier between the rocky, scrub-covered landscape and the fine golden sand most people associate with the desert. The trek to the top was tough, but the view of the sunset was worth it. Flaming Cliffs: They weren’t exactly alive with colour like we’d heard, but they were an impressive structure in the middle of a barren stretch of nothingness. 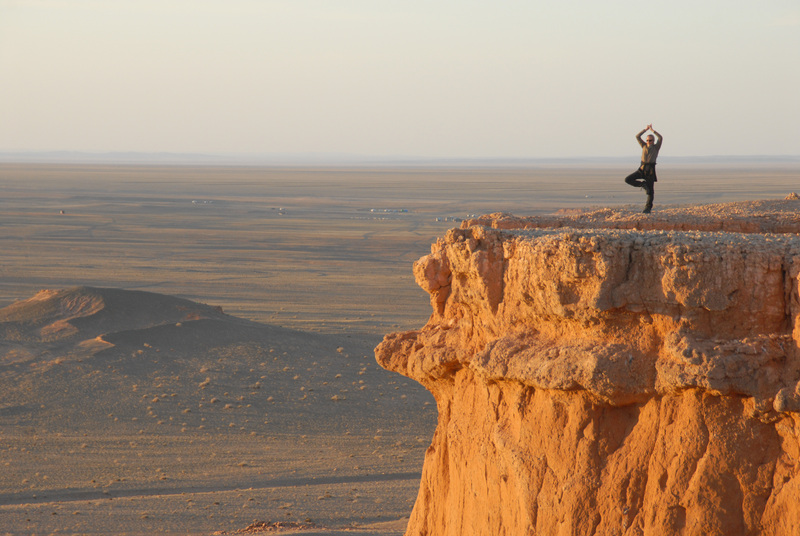 Tsagaan Suvarga: A colourful array of cliffs and mounds, famous for being the site of dinosaur bone finds. Staying with a family in a ger, a large tent that houses several people, is one of the highlights of a trip to Mongolia. Our previous ger home stay was more enjoyable, as we were two people immersed in the life of a family. 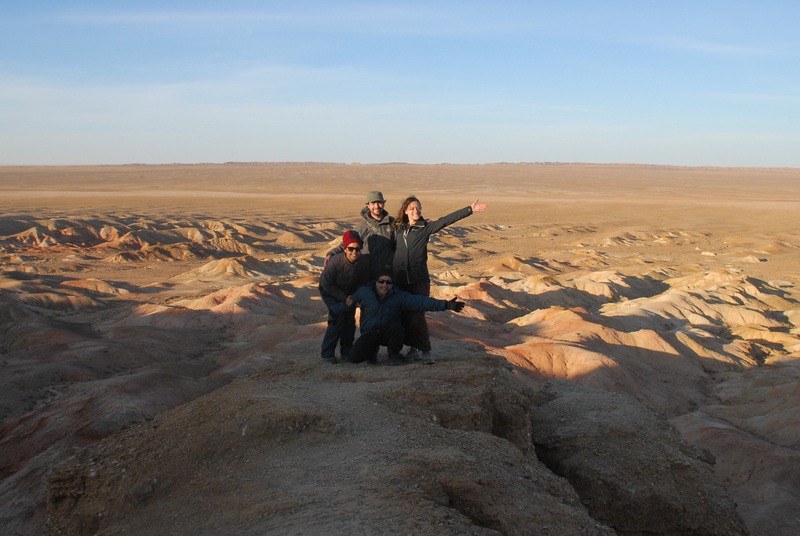 Our Gobi tour stay was less immersive, as we were six people (including our guide and driver) staying in the family’s second ger and having less interaction with the family themselves. We couldn’t come to Mongolia and not take a ride on a Bactrian camel. We were tethered together and led by a man on foot, so it felt a bit less like we were explorers in the desert and more like we were tourists being taken for a walk, but taking in the view of the dunes was enjoyable nonetheless. Who you go on a tour with can make or break the trip. Thankfully, the other couple we were with were great company. Very easy to get along with, and perfect drinking buddies for long nights in a tourist camp. 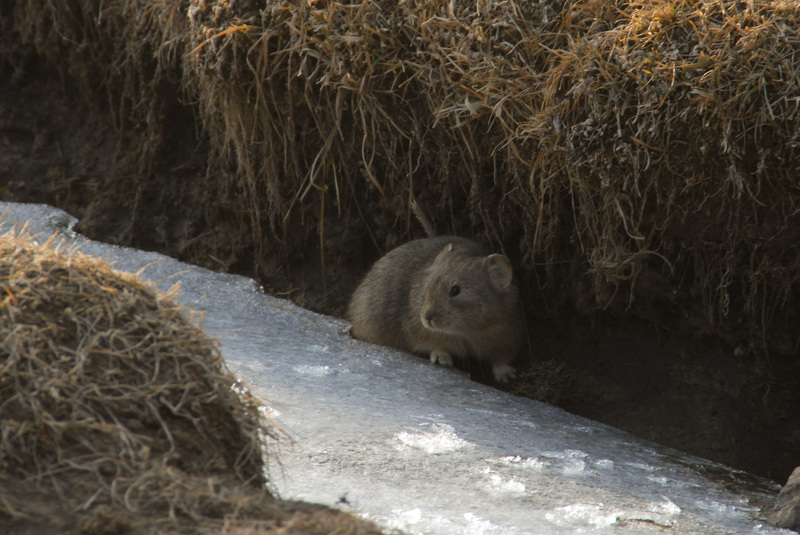 Our guide turned out to be a real downside to our Gobi tour. She complained about having to cook (despite saying in advance that she was happy to do so), and tried to get out of doing it whenever possible. She slept later than everyone else, and, when she did wake up, was only concerned with making herself look presentable. Having to put in any effort, such as helping us to pay for accommodation, or even just getting out of the van to walk around a landmark, was met with a sigh and a pout. All this, along with quite a few snarky comments, made us feel like we’d dragged a moody teenager along with us, rather than employed someone who supposedly did this for a living. The worst part was that she really wasn’t needed. Our driver, while not speaking any English, knew the way to each landmark, and found us accommodation each night. We could have easily cooked for ourselves (other than dinner, she rarely prepared the food anyway- breakfast and lunch, as well as cleaning up and washing dishes, were apparently not her responsibility). And in terms of a language barrier, we’d muddled along fine in other places, such as Terelj and western Mongolia. The first few days, I wasn’t bothered by the long journeys. Our van was super comfortable (unlike the rattling, cramped soviet vans we’d used elsewhere in Mongolia), and the views were terrific. But in the last few days of the tour I was feeling restless, the view was just a flat barren landscape, and the bouncy dirt track meant I couldn’t even read or write to keep myself busy. Even though our last day was a relatively short six hour drive back to Ulaanbaatar, by the time we reached the city, I was itching to get the hell out of my seat. Travelling by guided tour has never been something we choose unless we’ve no other options. Adam and I both like the freedom to travel independently and do what we want. 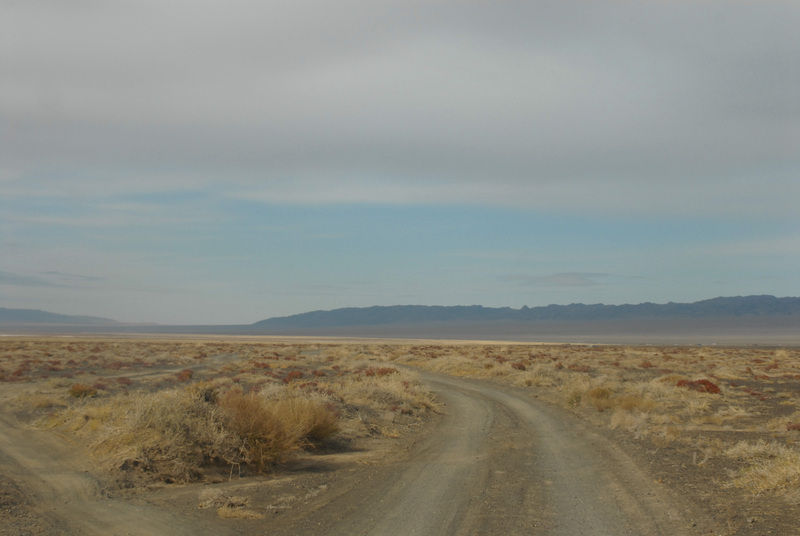 While, overall, we enjoyed our Gobi trip, there was always a part of us that wished we were able to go at our own speed, rather than being told what to do. Bring a stash of wet wipes- we had one lukewarm shower the whole time we were there. Bring gifts for the families you stay with. Bottles of vodka, sweets, or even rice or potatoes are appreciated. Bring something to occupy your evenings in the gers. After dinner but before bedtime, there’s little to do in a ger, and it’s too cold to go outdoors. A deck of cards and bottles of vodka made these evening a lot more fun! We didn’t bother bringing sleeping bags. Every ger we stayed in, with families or in a ger camp, had a few blankets for us, and the fire kept us nice and toasty. Though if you’re concerned about cleanliness, a sleeping bag may be better! A guide isn’t necessary. Outline your plan with the driver, and he’ll take you to different sights and find accommodation. If you do want to go on an all inclusive tour, but want to keep costs down, shop around and try to bargain the price down. Also, try to find others who want to do a similar trip, as costs are a lot cheaper when split between six people. Hey thanks for thr insight! 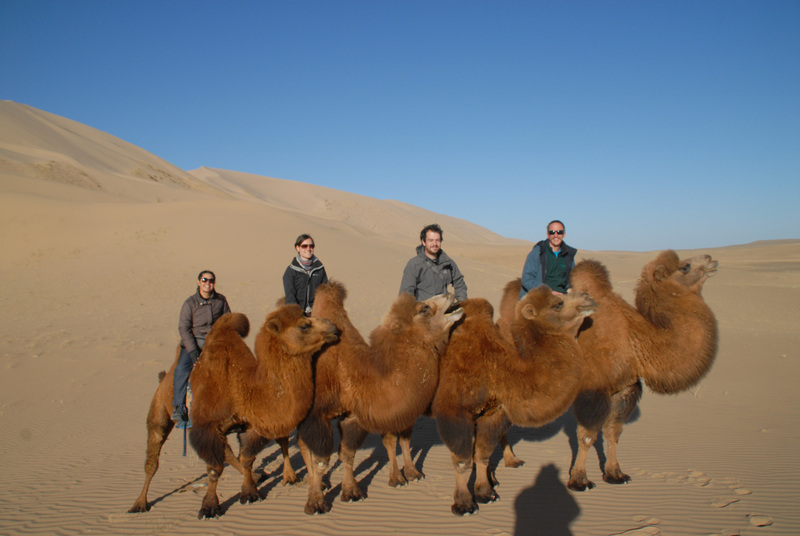 Planning to go mongolia myself, can you share which tour you went for for Gobi? And how long you recommend? Hi Rani, I didn’t actually book with a tour company, we found a guide and a driver who worked freelance. If you’re trying to do it on the cheap, I’d recommend just hiring a driver, the guide didn’t add much to our experience. Though if you do want to go with a tour I’ve heard good things about Ger to Ger. Golden Gobi gets mixed reviews, though I’d really recommend staying at their hostel in UB. In terms of time we did five days, six nights, and it was perfect, we got to see all the main sights, but any longer and I think we would have gone stir-crazy in the van! I’m looking to take a tour around Mongolia but am travelling on a budget with some friends. browsing the internet from home to find some tours seems to be pretty pricey….maybe $150-250 per person per day…..
Like your website, I’ve seen a few forums/blogs quoting around the $50 mark which is much more in line what I was expecting. Is it cheaper to organise the tours once in Mongolia? I am also considering doing what you did and finding an independent driver. How did you go about finding a driver? It’s definitely cheaper to organise the tour there. You should be able to get an organised tour for $50-60 per day through operators in Ulaanbaatar: Sun Path, Ger to Ger, and Golden Gobi all run backpacking tours. It’s easy to just show up and organise a tour for the following day. You can probably bargain down the price, too, especially if it’s in the low season. We met a couple who had found a guide through couch surfing. The guide then arranged a driver. If you can find a driver then you don’t really need a guide- ours didn’t add much to the tour! It is difficult to find a driver who speaks English, but if you manage to discuss your plan in advance (maybe ask someone to help translate), you should be fine going with just a driver and no guide. Good luck with your trip, let me know how you get on!